Activists were up in arms Thursday after a Bangkok hotel hosting an AIDS workshop moved all the participants — half of them HIV positive — to one floor, asked them to eat in a separate area, and told cleaning staff to take precautions. The incident, which took place earlier in the week, happened just a month before the Thai capital is to host the 15th International AIDS Conference that is expected to be attended by more than 10,000 participants. 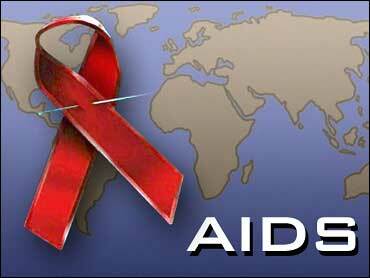 Some 70 Thai government officials, voluntary agency workers and people with HIV/AIDS in the workshop were initially given rooms on various floors when they checked into the Prince Palace Hotel on Sunday, said Nimit Tienudom, head of AIDS Access, an advocacy group. But when hotel officials realized that some of the people had AIDS because of skin lesions, they moved everybody to one floor the next day, he told The Associated Press. They were also asked to eat in a separate dining area. "It was like they were placed in a zoning area," said Nimit, who had spoken to organizers of the workshop, which was co-sponsored by the government. "This reflects the ignorance of Thai society in the matter of living with (people with HIV) and how it is contracted," Nimit said. The participants, however, didn't want to create a fuss, and the incident was first reported by The Nation newspaper on Thursday. Hotel officials, speaking on condition of anonymity, said they were acting in the interest of their other guests. They also said they instructed cleaning staff to take precautions. "We were just scared the other guests would be alarmed," said a front desk manager said, adding it was normal practice in hotels to give conference participants a private dining area. However, the manager also said the organizers should not have invited people with AIDS. And even if they did, "they should have told us about it so that we could have prepared for them," he said without elaborating. He cited last year's SARS outbreak when hotel guests were avoiding others from areas hardest hit by the respiratory disease such as Taiwan. "When guests saw guests from other countries, from Taiwan, they would be really alarmed," he said. An official from the government's Communicable Diseases Control Department said about half of the 70 participants at the workshop were infected with HIV, the virus that causes AIDS. The official, who declined to give her name, said the CDC and Public Health Ministry have not yet taken action against the hotel.